Dr. Sarah Bendel is a board-certified family physician highly experienced in treating patients of all ages. Dr. Bendel received her medical degree with honors from the Lake Erie College of Osteopathic Medicine. She completed a residency in family medicine at the St. Vincent Health Center in Erie, PA, followed by a fellowship in Advanced Women's Health at UT St. Francis Hospital in Memphis, TN. As a Family Medicine physician, Dr. Bendel provides comprehensive medical care to patients of all ages, from newborns, infants and adolescents to adults and the elderly. 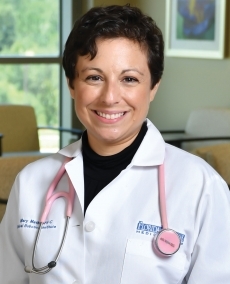 Dr. Bendel has completed advanced training in women's health to manage the special needs of women throughout their reproductive years, such as general contraceptive management, including IUD placement, as well as general, nonsurgical gynecologic care, including endometrial biopsy and colposcopy. Dr. Bendel is certified by the American Board of Family Medicine and a member of the American Academy of Family Physicians and the American Osteopathic Association.